Since the 1970's our family has had a farm in the tiny town of Leon, Iowa (about an hour south of Des Moines). 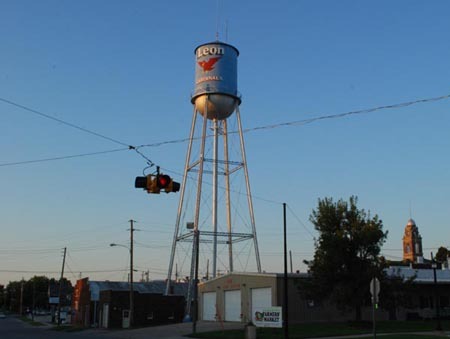 Leon is a small close- knit farming community. In the early 1980's, during those hard economic times, we were struggling like most family farms in America. 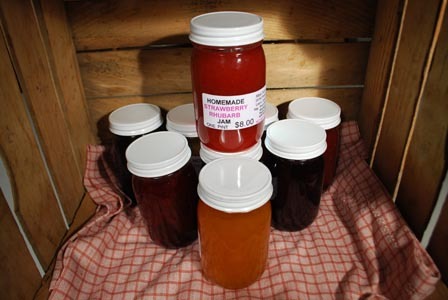 Needing to raise income, so we could keep our farm, we planted a strawberry patch and started making jam. Well, you can't very well have jam without bread, so Mom started baking bread to sell at our roadside stand. Before long we had as much demand for our bread as for our jams. This is when our bakery was born. 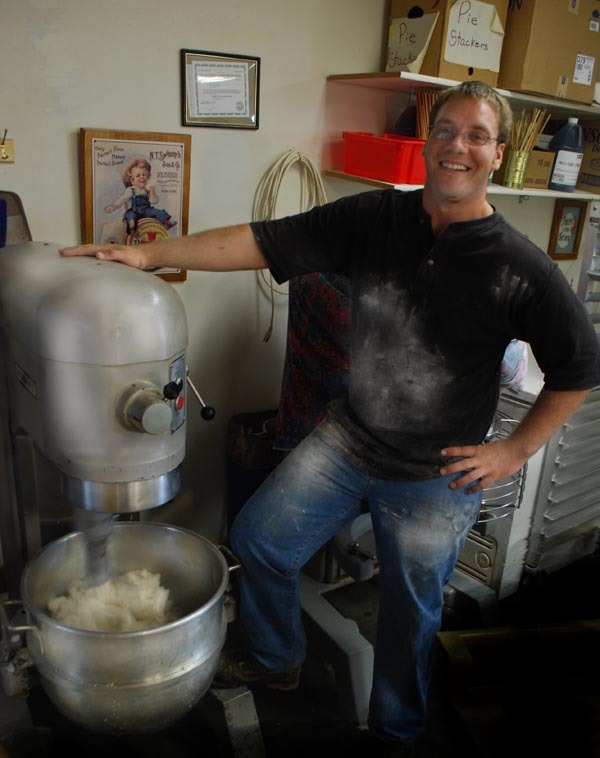 Our family bakery was an invention of necessity, which not only saved our farm, but also gave us a great new business. It was a double blessing, as the Lord works in mysterious ways! After a number of years of VERY HARD work our family moved out of the cramped kitchen of our rickety old farm house into a new house we built to support our bakery business. ...the other is our preparation room. 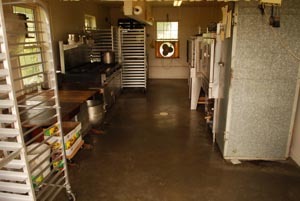 This is where EVERYTHING we bake or can is made! All of our products begin with the finest of ingredients. 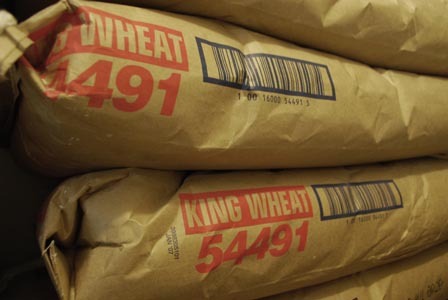 In fact, for our whole wheat products we make the flour with organic wheat on our own grinding stone. 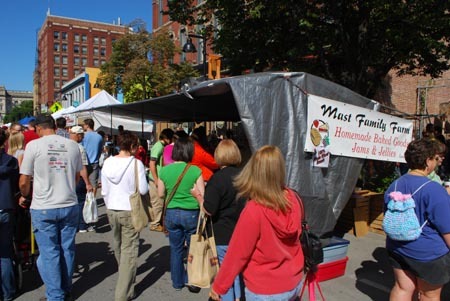 All of our products are made from scratch by recipes we have honed through a quarter century of direct sales to our customers at the Downtown Farmers' Market in Des Moines. We are very proud of the work we do and the consistent, delicious results we offer our customers year in and year out. We open the best of our kitchen to you and invite you to bring a little of our home back to yours! 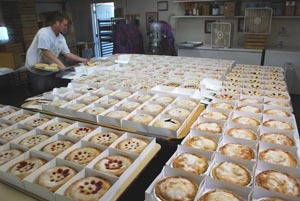 Take a look at our products and make your next family meal complete with a pie or a loaf of bread from our table! Good things, like blessings, are to be shared! Enjoy!